Last week Michael and I went to Laguna Beach to celebrate our 4 year anniversary! 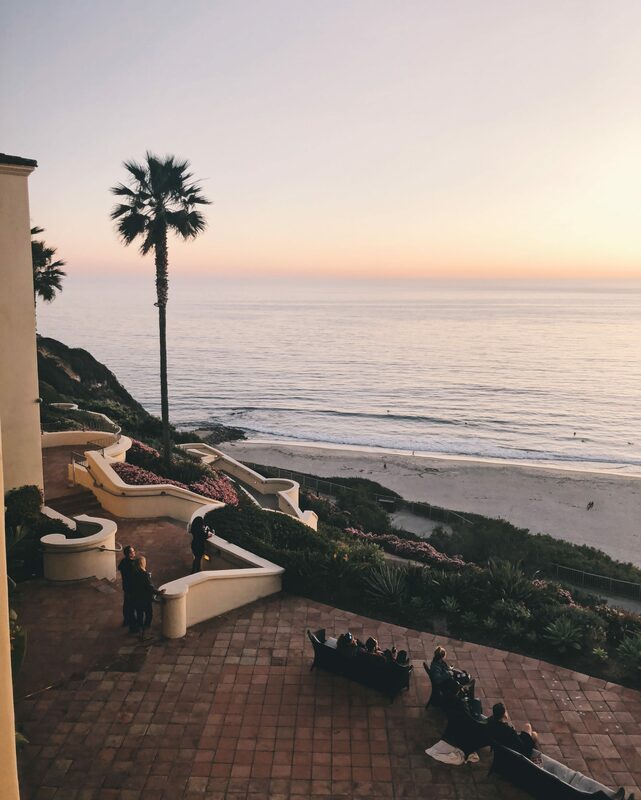 We stayed at the Ritz Carlton Laguna Niguel for 4 nights and had the most amazing time. 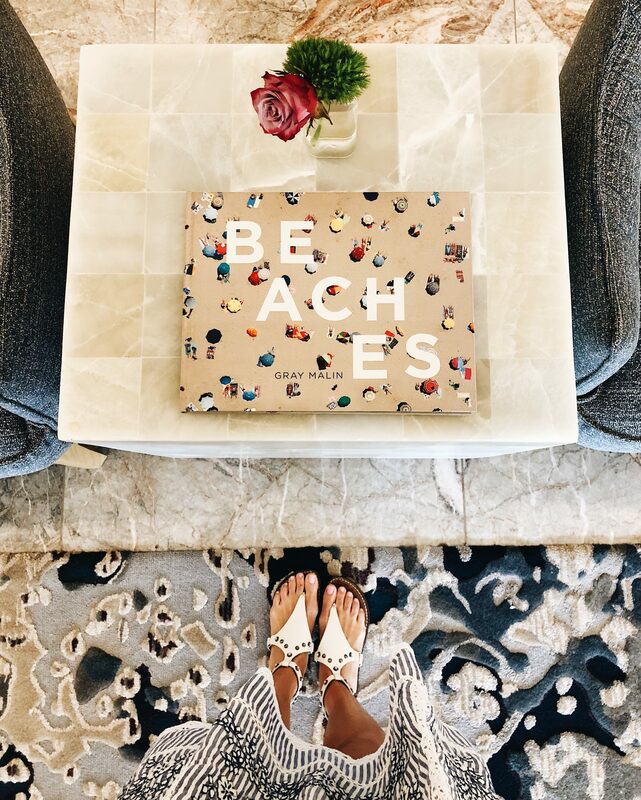 So, today I want to review RC Laguna Niguel for y’all and also share a little Laguna Beach travel guide, in case you’re also heading there soon! First of all, this hotel is just straight up gorgeous, head to toe, every corner. The photos above are in the main lobby. 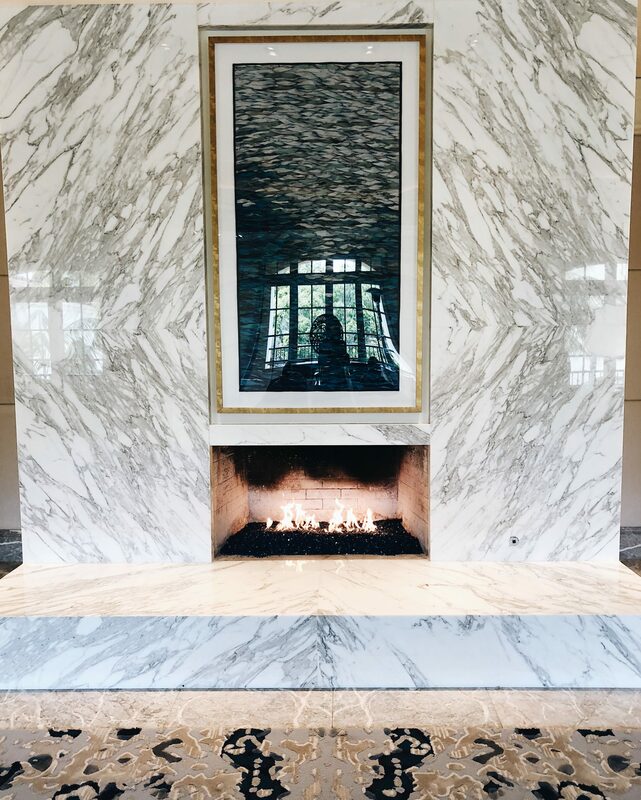 Everything is so luxurious with the marble, but still has a casual / coastal vibe, which make the hotel feel very cozy and welcoming. The bathrooms are pretty much floor to ceiling white marble which made a dramatic statement, and they were absolutely stunning. The fitness center hands down wins the award for prettiest fitness center I’ve ever seen in my life. (Check out the “travel” highlights on my instagram stories to see what I’m talking about). The whole gym is surrounded by windows and you have nearly panoramic views of the ocean and cliffs to your right. 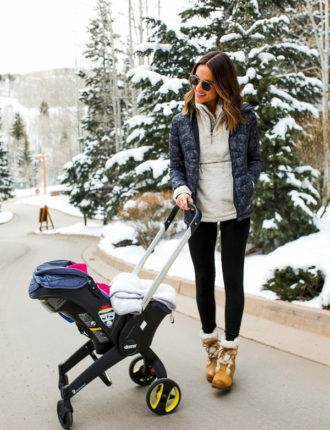 This certainly made working out a whole lot easier! 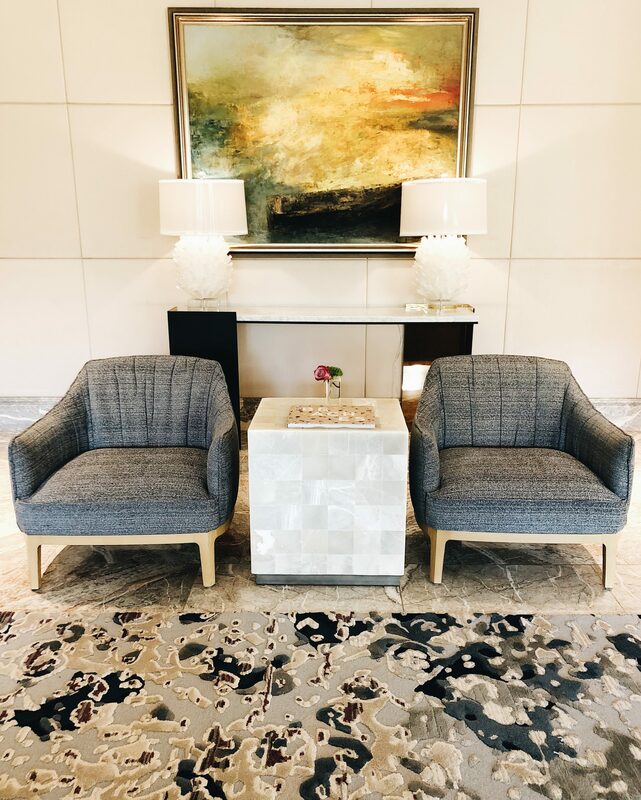 Our service at Ritz-Carlton hotels has always been a 10 on a 10, and the service at this location was no different! 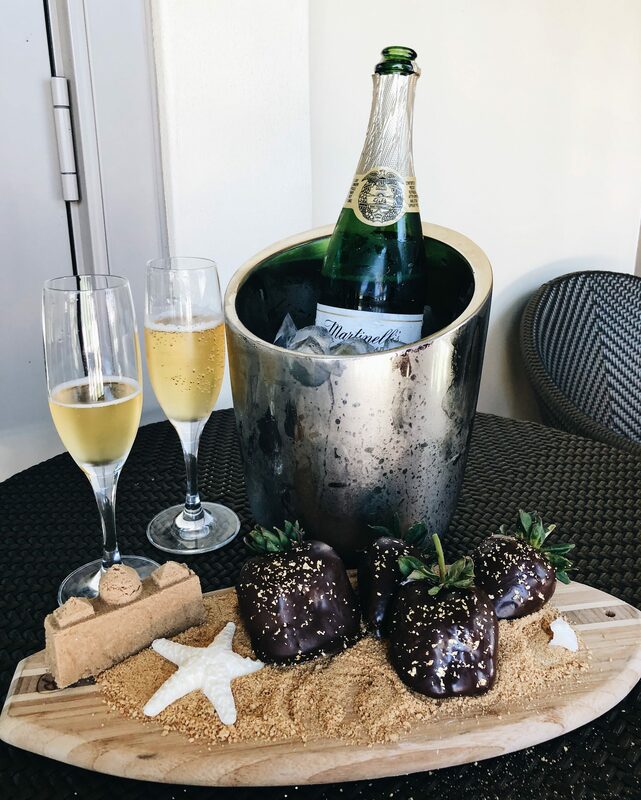 They brought us these amazing chocolate covered strawberries and champagne as an anniversary gift, the concierge was always so helpful and friendly, and the waiters at the restaurants there always took the best care of us. 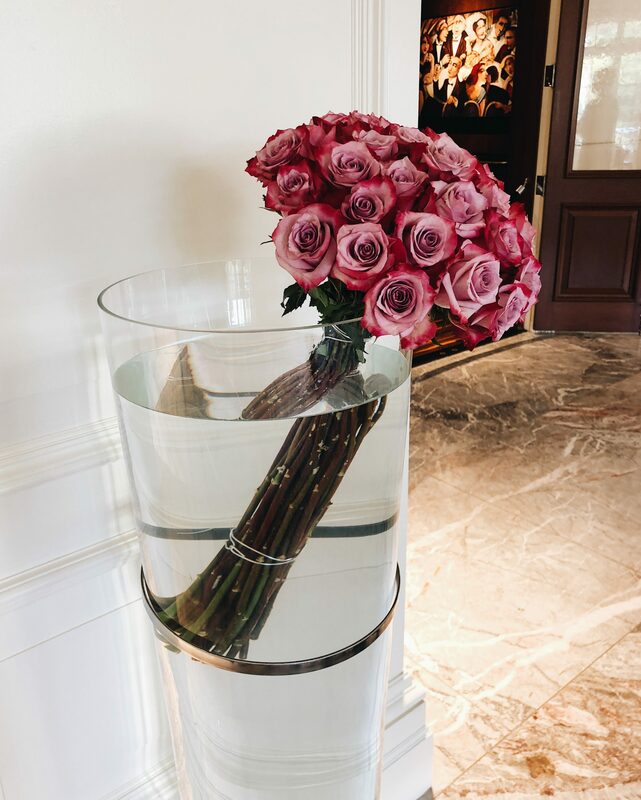 The exceptional service is one of the main reasons why we love staying at Ritz Carlton hotels! We also enjoyed the amazing pool (and pool-side bar / grill) at Ritz Carlton Laguna Niguel! This hotel has two beautiful pools with tons of seating. We ordered chips and guacamole by the pool one day and it was the perfect afternoon snack! Michael and I also had club access while we stayed at RC Laguna Niguel which I 100% recommend. We ate breakfast in the club lounge nearly every morning during our stay, Michael would grab a beer when were heading to the pool, and we enjoyed dessert there almost every night. All Ritz Carlton locations have club access as an option and I definitely recommend partaking in that! It’s such an amazing feature to have on your vacation. 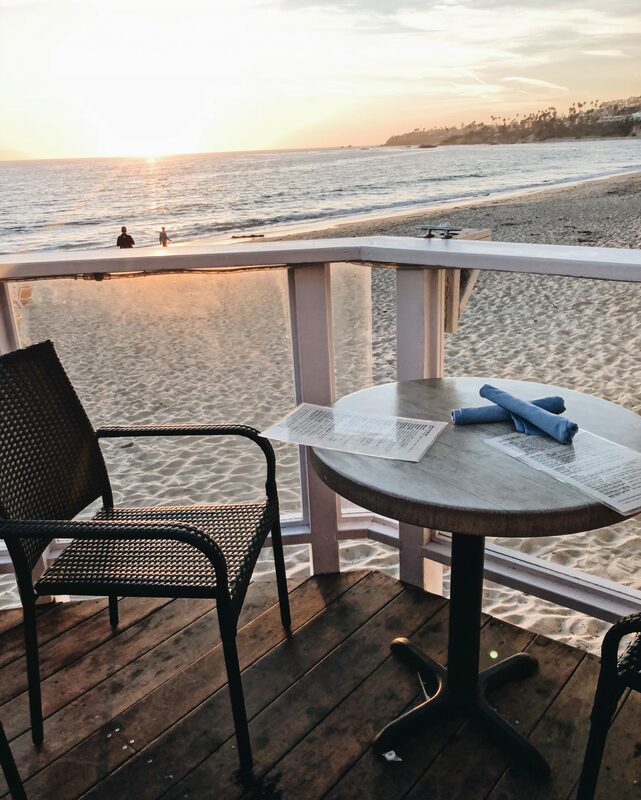 The Deck – we had lunch at the Deck a few months ago while in Laguna, and went back this time for dinner! I highly suggest making reservations to make sure you can get a table, and try to ask for a table by the beach to get the best view! If you go at night for dinner…make sure to bring a jacket or dress warmer than you think you’d need to haha. I kind of froze! The food here though is amazing. I got salmon and Michael got some kind of seafood pasta. We both loved our dishes! 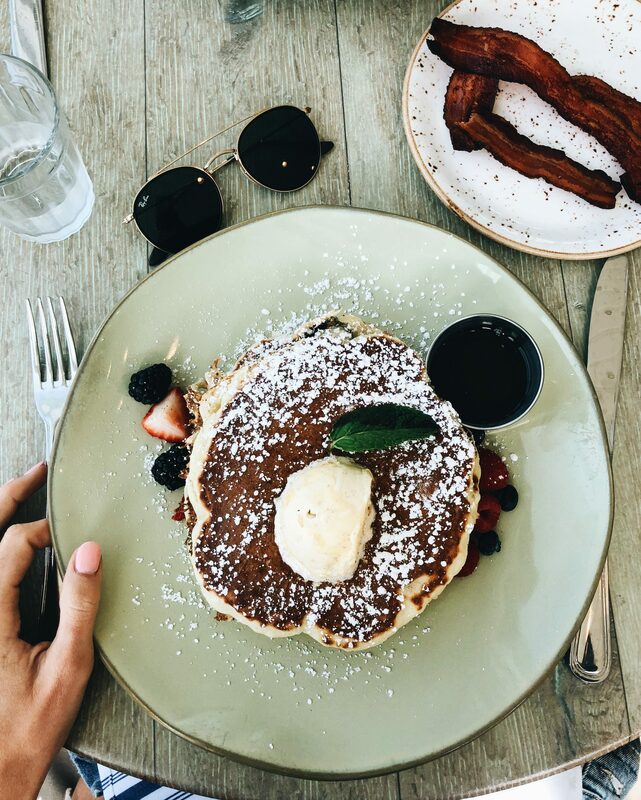 Driftwood Kitchen – the heavenly pancake photo above was from our brunch at Driftwood! This is seriously the cutest spot with amazing views of the beach, and the food here was so yummy. Everything on the menu looked good so it’s definitely a place I would revisit! We also made brunch reservations here but I’m not sure that’s 100% necessary. Nick’s – this was both mine and Michael’s favorite meal while we were in Laguna. Definitely get reservations ahead of time (we tried to make reservations on Wednesday for a Saturday night dinner and everything was full). So, we walked in and had about an hour(ish) wait, which wasn’t too bad. But holy cow the food here is a 10 on a 10! We split the bacon deviled eggs for an appetizer, and then Michael got the buttermilk fried chicken for dinner and he was in heaven. Of course my favorite part of the meal was the butter cake for dessert which you ABSOLUTELY have to get! We are talking life-changing. Possibly the best dessert I’ve ever had in my life. I’m trying to figure out how I can uber eats that thing to Boulder. If you have any ideas LMK. Urth Cafe – we didn’t get a chance to try this place, but my brother has been (he lives in LA) and said they have a great brunch! Zinc Cafe – another great brunch option! We went here with my brother on Saturday morning and all 3 loved our meals. It’s an “order at the counter” type of restaurant but it’s super cute and has a million vegetarian options if that’s your thing. We aren’t vegetarian but we still loved it! 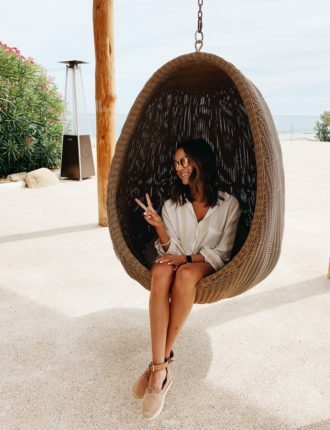 Gelato Paradiso – y’all know I couldn’t make a Laguna Beach travel guide without including my favorite ice cream stop. We went here twice on our trip lol! The line was crazy long both times but worth it! The gelato is so yummy and they have a million flavors. Make sure you get it in one of their freshly made waffle cones, if you want to do it right. 1,000 Steps Beach (I’m doing a whole blog post on this tomorrow so make sure to check back!) – this is a beautiful beach with sea caves to explore and tide pools! We spent most of the afternoon here on Friday! 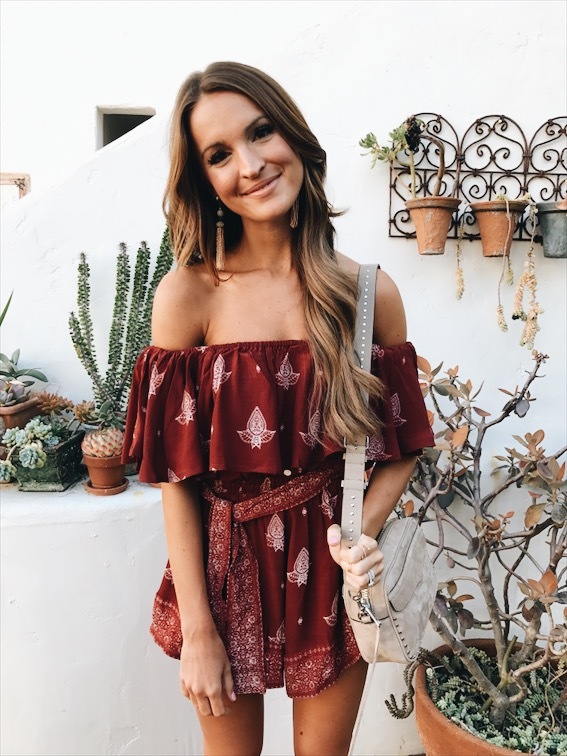 Shopping in Laguna Beach – downtown Laguna Beach has so many cute local shops! They have everything from clothing boutiques to art galleries to home stores and more. On our way back to LAX for our flight out, we stopped in Venice to shop on Abbot Kinney Blvd which I highly recommend if you get the chance! I could spend HOURS on that street. There are so many great shopping spots (both local stores and brand names), and TONS of adorable restaurants. We of course got ice cream at Salt & Straw and it was heaven on earth. Wow, that was a lot of information! Thanks to everyone who sent Laguna Beach recommendations my way! I wish we could’ve stayed longer so we could try all the places. Hope this Laguna Beach travel guide helps you in planning your next California trip! Thanks for reading! 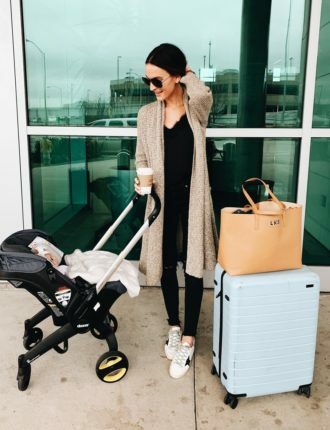 « spring wardrobe update under $100!